Chicago born and raised, muli-award winning bluesman Larry "Mud" Morganfield is the eldest son of the legendary Muddy Waters. 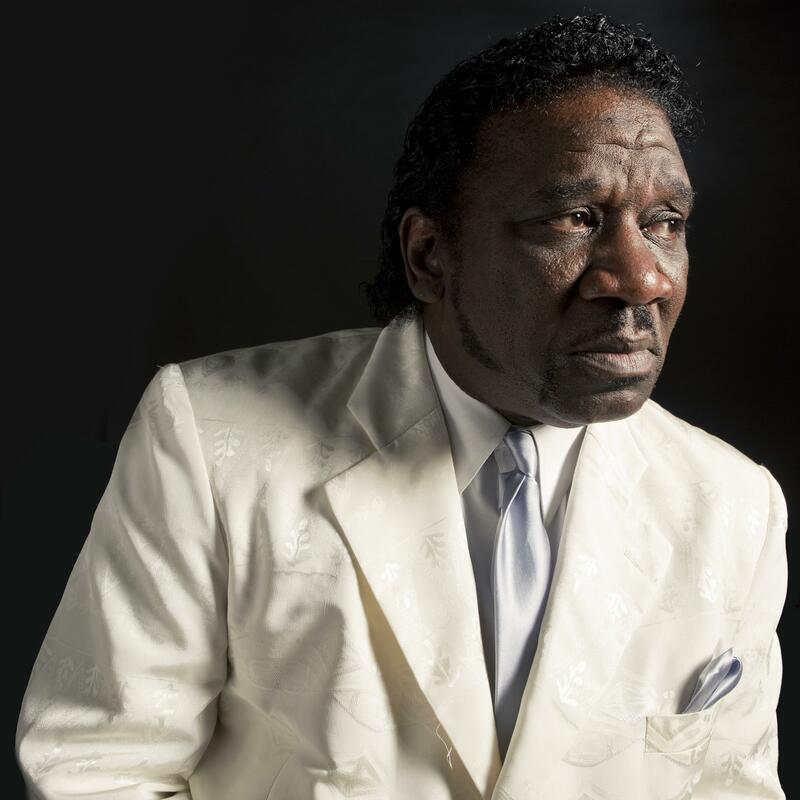 Mud Morganfield has headlined and performed at festivals and concert venues all around the world! Naturally, Mud, the eldest son of legendary bluesman "Muddy Waters", was drawn to music at an early age. He learned to make the best of his famous father's hectic touring schedule, seeing Muddy only during brief respites at home in Chicago. Ever the devoted father, Muddy bought his son a drum set every Christmas, which Mud learned to play at age seven. Later, he switched to bass guitar while delving into songwriting. Mud and his younger brother, noted blues singer and guitarist "Big" Bill Morganfield, entertained the idea of becoming professional musicians after Muddy's death in 1983. Blues fans were introduced to Mud at a tribute concert to his father in 2007, but his performance at the Chicago Blues Festival that same year brought him instant recognition. Mud composed most of the songs on his award-winning album Son Of The Seventh Son, including "Blues In My Shoes." He also performs the Muddy Waters tune, "You Can't Lose What You Ain't Never Had." According to producer and harmonica player Bob Corritore, the CD "brings you the great Mud Morganfield in all his glory." It was recorded in Chicago and features some of the city's top Blues musicians. In 2014, Mud's new album, For Pops, recorded in tribute to his late father, together with fabulous Thunderbirds frontman, Kim Wilson, sees him make a very personal statement about his roots. Mud's travels are taking him and his music worldwide, with appearances in the biggest festivals and venues, such as the legendary Ronnie Scott's Jazz Club and the Royal Albert Hall Blues Fest in London, England, and on to iconic TV shows such as Later… with Jools Holland on BBC TV in the UK, plus featuring in a TV documentary by a modern Bluesman of international fame, Hugh Laurie, with whom he has also appeared on stage in Chicago. Mud is taking his surge in popularity in stride, "When I’m up on stage I always feel Pops is there with me, and it means so much that I can get on stage and keep his music alive around the world," he says.